SCOTTSDALE, AZ--(Marketwire - Feb 9, 2012) - EmpowHER, an award-winning social health company for women, today announces that renowned aesthetic (cosmetic) surgeon Dr. Robert Singer will join the company's Medical Advisory Board. Dr. Singer, who is board certified by the American Board of Plastic Surgery, has been a resource for plastic surgery information to the Medical Board of California and the Congress of the United States and was ranked by Town & Country magazine among the "Best Cosmetic Surgeons" in the country. An internationally sought-after speaker and author with more than 280 scientific presentations or publications, Dr. Singer now brings his knowledge on various aspects of reconstructive and aesthetic plastic surgery to further strengthen EmpowHER's panel of industry-best physicians. Since 1976 Dr. Singer has helped thousands of people around the world enhance their physical appearance, not only through his private practice in La Jolla, California but also by sharing his expertise as an industry leader. Currently the Chairman of the Editorial Advisory for the highly acclaimed NewBeauty Magazine, Dr. Singer has presented to audiences in the United States, Europe, Asia and Central America on topics including facial cosmetic surgery, liposuction, facelifting procedures, eyelid and forehead rejuvenation, breast surgery, new and developing procedures and technologies, office-based surgery, patient safety, soft tissue fillers, body contouring, scar therapy and cosmetic surgery ethics. "As we look to expand our content and resources to include more beauty information for women on EmpowHER.com, Dr. Singer's contributions will be a perfect fit," says EmpowHER Media Founder, Chairperson and CEO, Michelle King Robson. "His wealth of scientific and experiential knowledge will provide millions of women with the resources and confidence they need as they embark into the delicate world of cosmetic and reconstructive surgery." As a member of the Medical Advisory Board, Dr. Singer will work closely with EmpowHER's editorial leadership team to provide clinical expertise for the company's award-winning and industry-leading library of women's health and wellness content -- categorizing over 700 women's health conditions and wellness topics and 130,000 pieces of original video, article and user-generated content. Dr. Singer will join his fellow board members in ensuring that the health and wellness content shared with the over 250 million female health consumers who will visit EmpowHER onsite and through syndication in 2012 is of the highest quality. Dr. Singer's career boasts an extensive list of leadership positions. 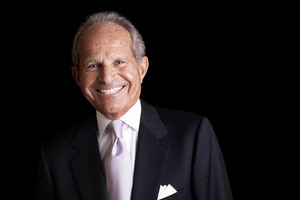 He has served as President to the American Society of Aesthetic Plastic Surgery (ASAPS), Chairman of the Board of Trustees to the American Society of Plastic Surgery (ASPS), President of the Aesthetic Surgery Education and Research Foundation, and Invited Examiner for the American Board of Plastic Surgery -- to name just a few. In addition, his accolades include consistent rankings among the Best Doctors in America and an academic appointment as Clinical Professor of Plastic Surgery at the University of California San Diego. "I am a huge advocate for EmpowHER -- both in the plastic surgery community and beyond -- and am inspired by the impact it makes in the lives of women worldwide," says Dr. Singer. "It is an honor to be a part of such a revolutionary company, and a privilege to participate on its Medical Advisory Board." Click here to view this release on EmpowHER.com and share it with your social networks. EmpowHER Media is an award-winning, HON-certified, social health company for women. The Company's flagship -- EmpowHER.com -- is the third most visited women's health and wellness destination on the Web (comScore Media Metrix). As the online home for female health consumers, EmpowHER.com offers a unique value proposition of a peer health community and premium, original women's health and wellness content. Health care professionals, brands and agency professionals rely on EmpowHER Media for reaching the most influential health and wellness buyer on the Internet -- women. EmpowHER reached more than 60 million women onsite and through syndication in 2011, and expects to reach more than 250 million in 2012.